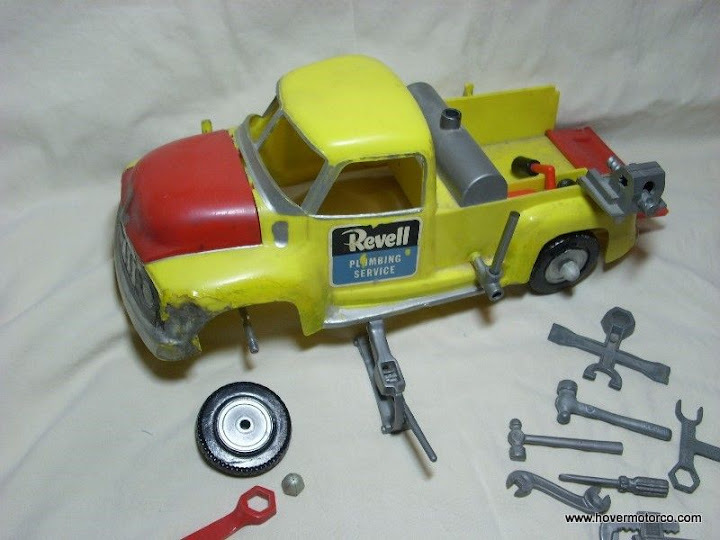 It isn't hard to see the logic behind toys like the Ideal "Fix -It" line. Sturdy plastic toys came with things like jacks a lug wrenches, and tools, and batteries and radiators that could be filled with real water. Along the same lines, litho-printed tin filling stations did plenty of imaginary lube jobs and repairs on smaller-scale cars and trucks. The inner workings of the internal combustion engine proved to be a popular theme. Some large-scale plastic toys featured working crankshafts and moving pistons that could be seen through clear engine blocks. These may have been simplified representations of what was really going on, but they may have led to an interest that led to real mechanics, hot-rodders, and even engineers later in life. Over-the-road and other service trucks have always been among the most well-loved toys. 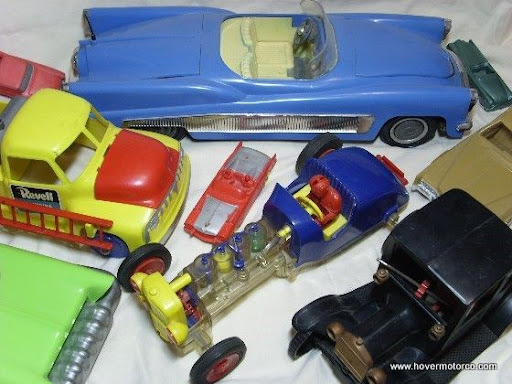 Names like Tonka, Nylint, Wyandotte, and Smith-Miller have produced some of the toughest, longest-lasting toys out there. There is hardly a young boy from any era that hasn't enjoyed playing with a steel-bodied truck. Even the computer-saturated kids of today still appreciate the simple fun of a rattling semi. 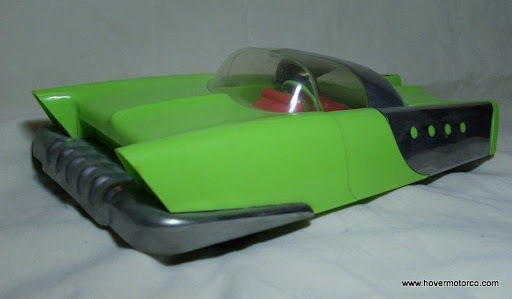 The slideshow below includes a selection of interesting toys that have survived from the 1950s and 1960s. If you were a child of that era, you might recognize something that you played with yourself. And even if you weren't, it is still fun to go back and see what kids played with before computers. Granted, some of these toys are fairly crude, as you might expect. But others are quite sophisticated. The detail and functionality of these toys may surprise you. Clicking on the little text baloon in the bottom left corner should reveal captions, should you want to read them.